Once a year everyone has to dress like a grown up. It's a lonely job, but someone's gotta do it. A quiet moment. Good thing the lab floors are FDA clean! Project Managers and Technicians communicate daily. Collaboration in the Bull Pen. Regular Project Meetings synchronize all departments. On-site testing and repair facilities. It's either the Lab Rats, or the Wait Staff from the Olive Garden. Cherokee provides acquisition support consulting services to government information technology decision-makers. Cherokee does not sell hardware, software, or "integration." We are not VARs. We are not a "Trojan Horse" for a "body shop" selling development or integration services. We are not affiliated with any government organization. Cherokee is not affiliated financially or otherwise with Consumers Union®, Consumer Reports®, PC Magazine®, Ziff Davis®, or any other outside organization. We are a source of reliable, independent advice. We use methodological, defensible protocols to conduct evaluations of information technologies, based on the specific needs, circumstances and plans of each individual client. Our clients make the best IT decisions ... based on our impartial, comprehensive recommendations. Cherokee is a socially-responsible corporate citizen. We perform evaluations for social service organizations for free, or greatly discounted. Our favorite causes are affordable housing and community development in New Jersey. For more information about our support of the non-profit community, please click here. 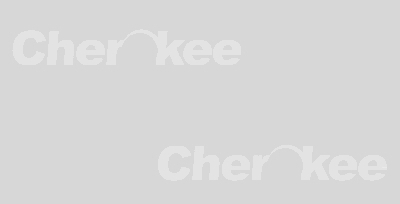 Cherokee was organized in 1992 as an information technology consultancy in New Jersey. In 1995 we made evaluations and testing our main business. In 2001 we acquired the assets of Integra Testing Services of California. Cherokee's primary market has always been State and Local government, and independent quasi-government agencies. The Cherokee Group, Cherokee Group, Inc., and affiliated corporate entities are private, for-profit organizations. Everyone associated with Cherokee adheres to a strict Code of Ethics. These are described in our "No Influence Policy", and in our "Ethics Policies". To review a more comprehensive description of our services, please click here. Cherokee's corporate ownership is transitioning to a fully employee-owned company in 2010. Our administrative functions will migrate from New Jersey to California over time.